My book club is meeting later this week to discuss Miss Peregrine's Home for Peculiar Children by Ransom Riggs. Most of the questions available on the web were intended for the young adult audience that's central to this book. So I made up some questions for us: middle aged and older adults! Riggs offers several parallels between the "Peculiars" in his story and the Jews during the Holocaust (see note below). He specifically says that Jacob Portman's grandfather was doubly affected because the Nazis were trying to exterminate the Jews while the Hollowghasts were trying to destroy the Peculiars. How does this comparison work out in the experiences of Jacob Portman? Discuss Jacob's experience discovering identities: his own, that of his grandfather, that of all the monsters who had been in his life, that of the Peculiars, etc? Did you find the descriptions of "monsters" horrifying – especially because only Jacob can see them? How did they work into the theme of betrayal – Dr.Golan is a monster, the school-bus driver is a monster, etc. Parents, aunts, uncles, age-peers are all unsympathetic or hostile. Only the grandfather, the least-plausible adult, turns out to have been trustworthy. That is, until the Peculiars appear. Was the use of old photos effective? Do you think Riggs' choices were good? Did he combine his love of old photos into a seamless plot? How does the author use the three extremely different settings -- modern Florida, modern Cairnholm, (the fictitious island off Wales with a spooky ruined house and a time-travel “loop” entry under an ancient grave), and the same island during World War II? Do you know kids who have read it? What was their reaction? Thomas Hobbes, Leviathan, 1651: "But supposing that these of mine are not such principles of reason; yet I am sure they are principles from authority of Scripture, as I shall make it appear when I shall come to speak of the kingdom of God, administered by Moses, over the Jews, His peculiar people by covenant." Israel Zangwill's 1892 novel is titled Children of the Ghetto: A Study of a Peculiar People. Isaiah Berlin, The Power of Ideas (mid 20th century) "An American wit once declared the Jews were a peculiar people because they were just like everyone else, only more so." Eric Hoffer, 1968: "The Jews are a peculiar people: things permitted to other nations are forbidden to the Jews." 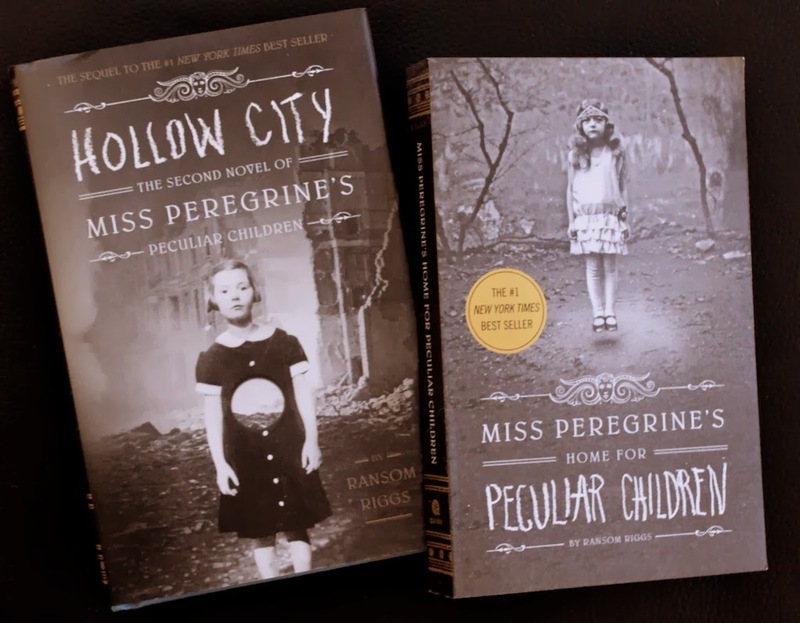 I reviewed both published volumes of the Miss Peregrine series in this blog post.